As a carer you look after a relative, partner or a friend who cannot manage at home without help due to a disability or illness or because they are elderly and frail. If you need additional support, you should arrange for a care assessment for you and the person you care for to find out what additional support is available from outside care providers. What is a Care Provider? A care provider can be any organisation, agency, group of people or individual, which supplies a service in the community, home or hospital to help look after the person you care for. Usually, care providers are local authorities, privately or state run residential care and nursing homes, home care agencies and voluntary organisations. A care home is an establishment provided by an independent company, local authority or by a not for profit organisation like a charity. These homes provide full accommodation and care services but not medical care. Residents usually keep their own GP and may receive medical care from community based services such as a district nurse. A nursing home provides full accommodation and care services but also provides medical care for those requiring it. Qualified nursing staff should be on call at all times. 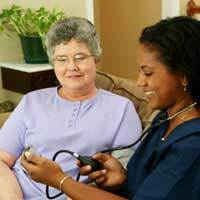 As with a residential care home, a nursing home may be run by a variety of different types of care providers. Shopping and light household chores. Personal care including help getting up and dressed in the morning, bathing and preparing meals. Collecting pensions or benefits and accompanying the person they care for to hospital appointments. Some care workers stay overnight in the person’s home if help is also required during the night. We are fortunate in the UK to have a large number of voluntary or charitable organisations that offer help, advice and support to those who need care as well as to their carers. The Princess Trust for Carers and Carers UK are both charities that aim to provide support for carers and lobby the Government to improve conditions for the estimated 2 million people who become carers each year. They also offer advice to help carers find their way through the maze of different benefits and services that are available. They can give you information about carers groups near to where you live that meet regularly to discuss what services are available locally and to offer moral support. Your social worker or doctor’s surgery should also have full details of local carers groups. If the person you care for has a diagnosed illness or specific disability, there is are a host of voluntary organisations that offer health advice and services specific to the illness or disability. They can also introduce you to other people who live nearby who are in a similar position to yourself and the person you are caring for. Questionnaire: Are You Getting Enough Support as a Carer?